One of the best sunsets I've ever seen was standing waist deep on the side of a flat, by myself, with mirror smooth water in front of me, mangroves behind me, and fish all around me. 'Cudas, sharks, snook, bones, everything. When the sun was gone, I kayaked back to camp. What I'm saying, is I like your writing,and this article, and am jealous of the trip. Sounds like heaven, Dan. Livin' life. THANKS! Great story Mike, and superb writing as always. I know the satisfaction of which you speak, which explains my aversion to guides. Thanks Jason, I appreciate it. And no aversion to guides, here, though I must admit that I don't use them often, cheapskate that I am. But there's no better way to learn the rules of a whole brand new game(fish) and sometimes they have access where you have none. And a good guide can become a good friend in a hurry. That's worth the price. Im afraid that I'm addicted, Capt'n. 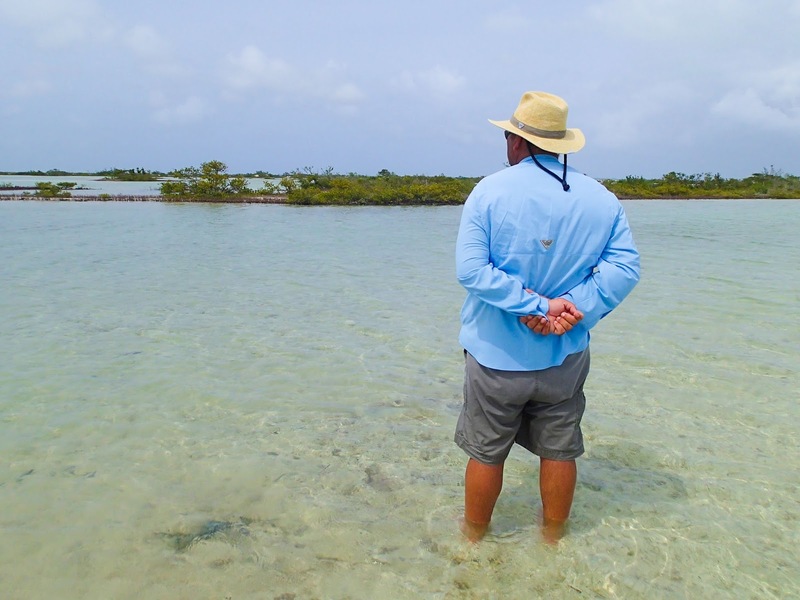 Bonefish are something special and wading for them like this is right up my alley. What kind of statement is that, Capt'n. Let's get going on it! ohhh my! I want to visit this place to relax and unwind. 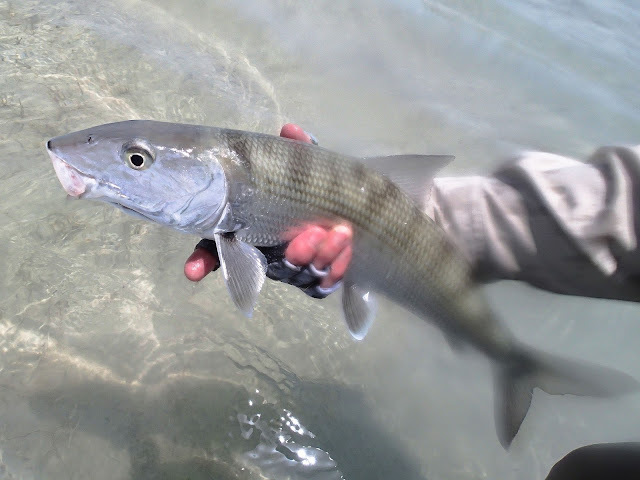 Also, I want to taste this bonefish. hmmm.. There's nothing quite like it, AGS. Just do it.